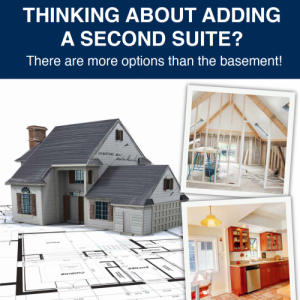 Poster: Thinking About Adding a Second Suite? A Second Suite is more than just a basement unit. Second Suites are found in many different areas of a home or building. Download and print the poster.